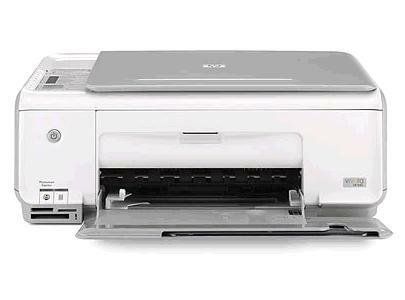 Have you checked to see how much ink there is in your HP C3110 printer? In the long run your HP C3110 will gobble up all of your printer ink, and then you'll soon notice that purchasing HP C3110 ink is often seriously expensive. Thank goodness you do not need to lose any sleep about coughing up the high prices you'll get on the main street because here at Cartridge Save you can get all the HP C 3110 cartridges you will ever need at tiny prices. Save a lot of money on your ink by shopping online with Cartridge Save! Don't overpay for the C-3110 original cartridge or C3110 compatible ink in the high street when you can save a fistful of cash buying with Cartridge Save. You get one hundred per cent confidence when ordering PhotoSmart C3110 ink cartridges from us seeing as everything is underwritten by a hassle-free money back guarantee. Don't forget that each order also comes with free delivery, generally delivered to your address the next working day! This printer is a good choice for photography enthusiasts who need a versatile personal photo printer. It may be a outdated for newer operating systems by Windows and Macintosh, however. The Photosmart C3110's overall print quality is average at best, but is often good enough for non-professional requirements. The HP Photosmart C3110 is an intelligent device that weighs 7.66 Kg – much lighter compared to other multifunction printers by HP. It is quite compact. 'Normal' mode print speed is 8.5 ppm in black and 5.3 ppm in colour. The scanner's resolution can be enhanced to 19200 dpi using the software, while the printer and copier's resolutions can be optimised to 4800x1200 dpi. There is an integrated image editor and a optical character recognition (OCR) software in the HP Photosmart C3110's scanner. OCR software converts scanned documents into editable text. Users also appreciate the built-in memory card readers, which supports formats including SD, Memory Stick Pro, Memory Stick Duo, MMC, xD-Picture Card, and CompactFlash (I, II). There is a limit to the memory capacity of memory cards that the HP Photosmart C3110 can handle. Anything larger than 1GB may cause the system to freeze. The Photosmart C3110 can only handle 12 MB files; anything larger will make it very sluggish. If your computer is running on Windows 7, you may experience compatibility issues. Some users reported being overwhelmed by the control panel's layout.